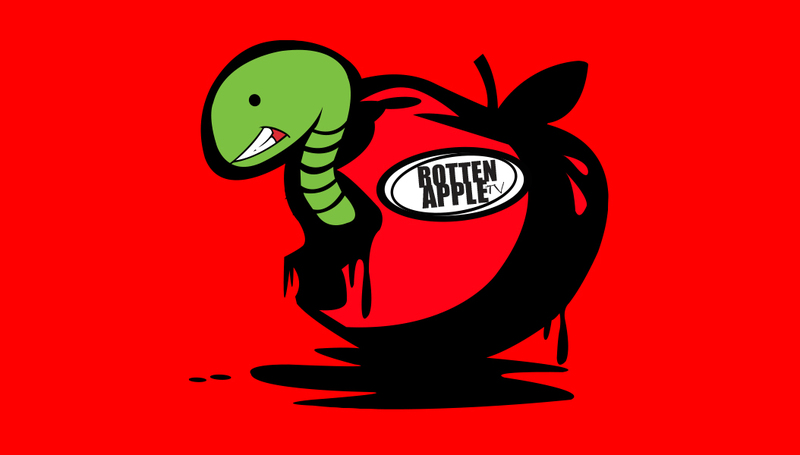 The Rotten Apple TV logo. 2013. Full of new discoveries and talent, Rotten Apple TV has positioned itself as a force within the urban entertainment website genre and is gearing up to take on the main stream entertainment websites soon as well. Led by a team of three young entrepreneurs from Brooklyn, Rotten Apple TV is a definitive choice as a stop for entertainment with a keen ear for unsigned hype. Get to know more about Rotten Apple TV below! What is The Rotten Apple TV? The Rotten Apple TV is an entertainment website. We share music videos, comedy, skits, spoken word artists (preferably people that do things on the internet). Primarily, we are dedicated to unsigned hype music artists. Not solely dedicated to hip hop and R&B but that’s what is sent to us. We like people who are looking to be discovered, and we enjoy supporting their journey through Rotten Apple TV. Are you solely an urban site? People look to us as an urban site but we are not solely designed as that. We are dedicated to music, art, talent. That is the lane we like to go! Our connection is to entertainment and not a negative connotation of what is “urban”. We are not your typical website. How much of your content is audience driven? 90% of our content is audience driven. Social media is a driver of most websites (what people are talking about) and that is directly linked to what goes on the website. Our audience is multi-level and interested in entertainment. Right now our content like our audience are those interested in the urban community. What do you think about Eminem’s new album? I’m excited for the album. He’s going to take another angle than what he usually does. Not as dark an angle, which is exciting and refreshing. He’s going to take it to the raw essence of hip hop where it was all about having fun, dope lyrics. He is a true student of the game. Nothing but greatness from him. Great album to come! Do the BET Hip Hop Awards mean anything for the genre? Should be more of a grand stage of hip hop and more prestigious, instead of just a small sectional to highlight and not give enough shine. Do the awards because they have to. What do you think of Snoop Dogg hosting? Not sure how it will work but should be interesting. Who would you put in a Rotten Apple cypher? What impact do you want Rotten Apple TV to have? We want Rotten Apple TV to be a part of careers of artists who are hardworking, talented and dedicated to their craft and give artists a chance to be discovered and heard. One major way we do that is through not charging artists for their submissions to the website. Listen to a full playlist on the ArtEdgeNYC Facebook page from Rotten Apple TV! Click here to listen to more music!